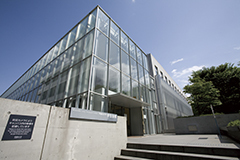 Toyama Cafeteria is located at the 1F in Bldg.38, providing meals in a la carte menu style. You can choose every variety of nutritious and balanced dishes together with Salad Bar. You may take your meal at the eating corner located in front of the cafeteria. 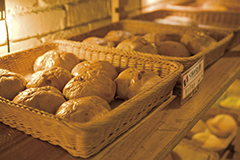 CO-OP Bakery Shop is located at the 2F in Bldg.36, providing light meals such as Onigiri, Sandwich, and Salad. You may use the lounge in front of the shop, or sitting space in front of the Bldg.36. Stationaries are also available in this shop. The Milk Hall is located at the basement in Bldg.31, providing light meals, freshly baked breads, and coffees. 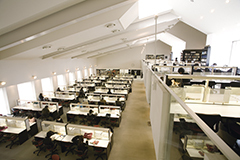 You may use sitting space within the Campus. 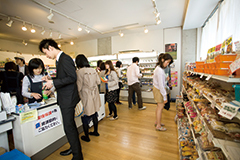 Toyama CO-OP shop provides variety of goods such as stationaries, commodities, books, and original goods. They also provide seasonal services such as photo shooting and rentaling graduation costumes. 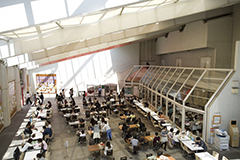 Toyama Library holds about 380 thousands books, and study area. 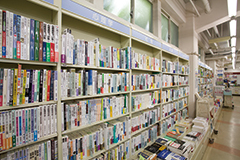 For details, please check Toyama Library Web site. This lounge is open for the students of the Graduate School of Letters. Arts and Sciences. The students may use as meeting or eating space. The lounge also has students’private lockers and copy machine. You may enjoy health consultation, first-aid treatment and hospital information. The psychological consultation are also available.For details, please check the Health Support Center Web site. 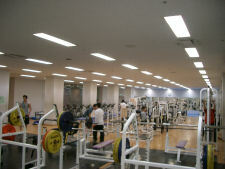 For faculties and students, the room is open Mon, to Sat. 8:30~21:30. Bed for changing diapers, chairs, “Tatami” space, and Sink are available. 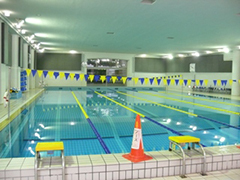 This swimming pool was dedicated to the first Japanese prize Winner Swimmer Katsuo Takaishi, who was a Waseda student. 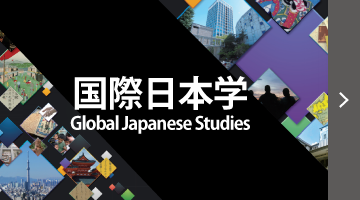 <<https://www.waseda.jp/flas/en/>> doesn't support your system.